Did NBC get it right? Read Joanna's blog and post your comment here on our facebook page. First five posts will receive a copy [of Joanna's book]. Writing Healing Your Hungry Heart could not leave me unchanged. Reviewing my own journey through bulimia to recovery, I hear in my mind the voices of women telling me their stories over the years. I see their faces. 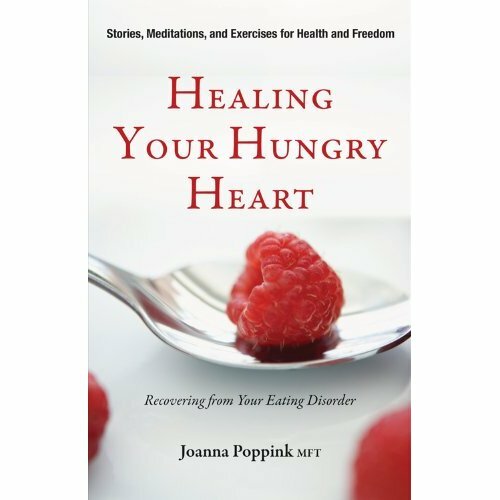 Writing Healing Your Hungry Heart was an amazing journey for me. For those of you who are not writers, please know that writing a book is not about sitting down and writing a book. Some of it is, of course. But much of is writing a few paragraphs and then questioning those words. If you have or had an eating disorder you or women like you have been sharing questions, life stories, struggles, catastrophes and triumphs with me for thirty years. When I add my personal disastrous and then recovery experiences to yours, it adds up to a lifetime of listening, thinking, feeling, learning and sorting my way through the eating disorder labyrinth.